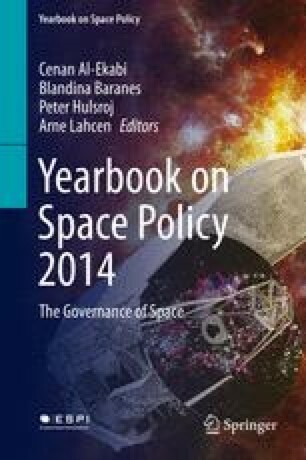 The major space policy developments worldwide were presented in Chap. 1, above, to identify the principal space faring nations’ strategies in 2014. In the section below, there will be a brief discussion of developments in technology related areas, including policies and access to space technologies. The aim of this section is to clarify how these strategies interact with and influence specific space programmes, and related research and development projects.